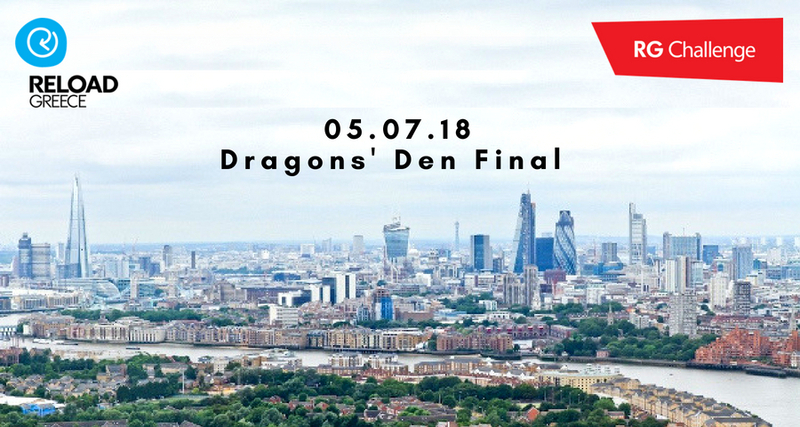 We are delighted to invite you to the RG Challenge18 Dragons' Den final pitch event at the impressive CCT Venues Plus - Bank Street in Canary Wharf on Thursday 5th July. Join us to watch 14 inspiring start-ups pitch to a panel of investor judges and an international audience in order to win awards and prizes. 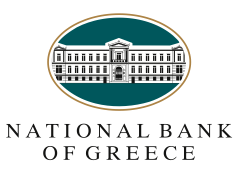 The 14 start-ups, working in digital & technology, medical, blockchain, social enterprise and green technology businesses, joined the programme through our global call, our collaborations with accelerators of the National Bank of Greece and Eurobank and our RG YEP Young Entrepreneurs Programme. The final pitch event takes place after the entrepreneurs have completed the intense 11-day RG Challenge18 accelerator programme. After developing their propositions, business plans and pitching skills with over 40 international high profile mentors and industry experts, the fifteen participating teams will be ready to pitch to the investor judges, and to you! Three investor judges will award prizes to the top pitches and you can also vote for your favourite start-up in the audience award. The pitches will be followed by a networking session, open to all. We look forward to seeing you for an evening of inspirational presentations, networking and celebrations for the best young start-ups who are Reloading Greece. Discover more about the 11-day programme here. We would love to send you our newsletters sharing information on our programmes and events, inspiring entrepreneurial case studies and useful startup information, please click here to opt-in.